I have been overweight pretty much my whole entire life. I was the biggest kid in school. My mommy had to shop for clothes for me in the husky section at Sears. Yeah, I know there are some of you reading this article who remembers the husky section at Sears. I was told I ate too much and if I just stop eating so much, I would lose weight. So I deprived myself food. I counted calories. I went to Weight Watchers. I took diet pills. I even did hypnosis. I did all this stuff thinking I ate too much food and if I just controlled how much I ate; I would get skinny and live happily ever after. Well, that did not happen. In 2003 my weight reached an all time high of 272 pounds. How in the world did that happen? I was not sitting on my couch stuffing myself with food. Why was I getting fatter? In 2006 I made the decision to leave a stressful job and became an elementary school librarian. In one year I dropped 15 pounds without really trying. Then I got an idea. What if I used my librarian skills to research everything about diet and nutrition? I would learn as much as possible and use the techniques that worked for me. I was reading and studying about diets and my weight got down to 240 pounds in 2008 when I stumbled upon a 600 page book titled Good Calories, Bad Calories. The author, Gary Taubes, is an award winning science journalist who basically states in his book that obesity is not a moral failure due to gluttony and sloth. Obesity is a disorder of fat accumulation caused by too much of the hormone insulin circulating in the body. And what causes the secretion of too much insulin? Sugar and refine carbohydrates. When I read this, my first thought was, “Man, was Dr. Atkins right after all?” But the more I read and studied about sugars and refine carbohydrates, the more I agreed with Gary Taubes that these foods were the cause of obesity, not dietary fat. So what did I do? I drastically cut down on the amount of refine carbohydrates and sugars that I consume. I stopped eating processed packaged foods. I stop eating fast food, including healthy Subway. I began to eat more protein, more vegetables, and yes, more fat. The result? I am now 60 pounds lighter from my all time high of 272 pounds. I still have 35 more pounds to go and feel confident if I continue to eat the way I am eating, I will be successful. Sugar is what is making Americans obese, not dietary fat. Americans have been taught that fat makes us fat for the past 30 years and guess what happened? We got fatter! Food processors began to make low-fat foods to satisfy Americans fear of fat and they replace the fat in food with sugar in order to make the food taste better. Did you know that healthy low calorie, low-fat Yoplait yogurt contains 6 teaspoons of sugar? How about the healthy low fat 6”sweet onion teriyaki sub from Subway? It contains 4 teaspoons of sugar. How about salad? Salad is good for you, right? Well, the Thai Chicken Salad from California Pizza Kitchen contains 11.5 teaspoons of sugar. That is how Americans can easily consume 150 pounds of sugar a year and not even know it because most of the sugar we eat is hidden in all the processed foods that we eat. I am passionate about helping others live a healthy life. I want to educate as many people about the dangers of sugar and refine carbohydrates and how it is taking a toll on Americans. For those of you struggling with your weight, just like I did, I know you are not stuffing your self with food. I truly believe people who struggle with their weight it is an issue of what they are eating not how much they eating. To begin your low-sugar lifestyle, start slowly. I would suggest begin reading food labels carefully and observe how many grams of sugar are in processed foods. You will be so shocked! 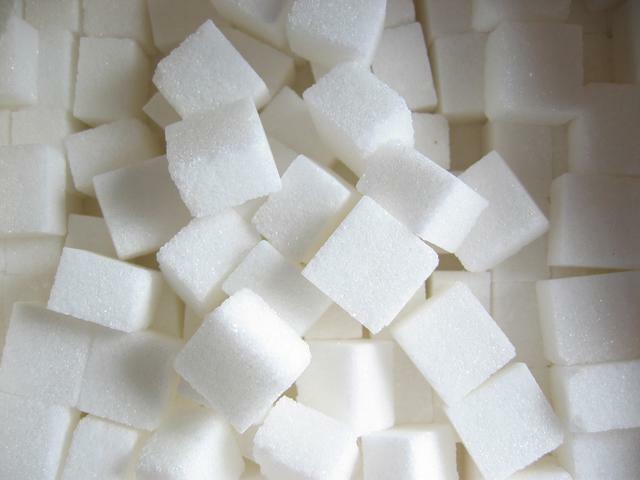 Aim to eat no more than 20 grams of sugar a day, which is about 4 teaspoons. This does not include natural sugars contained in fruits, milk, and vegetables. I would definitely recommend staying away from fruit juices. Soda pop is definitely a no-no. Giving up sugar in the beginning will be tough. But with diligence and determination, it will get easier as the days go by.